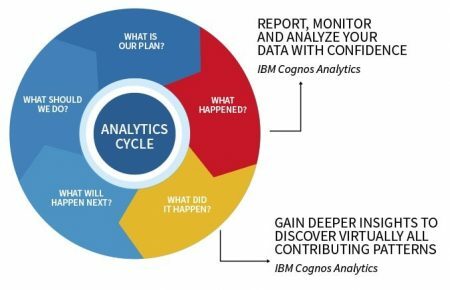 IBM COGNOS ANALYTICS – Why? Your organization can gain a competitive advantage with a solution specifically geared to the needs of your business. With features such as artificial intelligence (AI), coupled with intuitive, comprehensive dashboarding, flexible professional report authoring, and automated data preparation, IBM Cognos Analytics provides significant data exploration and discovery capabilities. Cognos Analytics software enables your organization to develop compelling data stories, based on current information. You will be able to support business users as they explore a variety of corporate and personal data, which drives better business decision making. Start Planning your Cognos Analytics Upgrade today!